Det vackra operahuset i Hanoi, Vietnam. Foto: Anders Thorsell. The Hanoi Opera House is an opera house in central Hanoi, Vietnam. It was erected by the French colonial administration between 1901 and 1911. 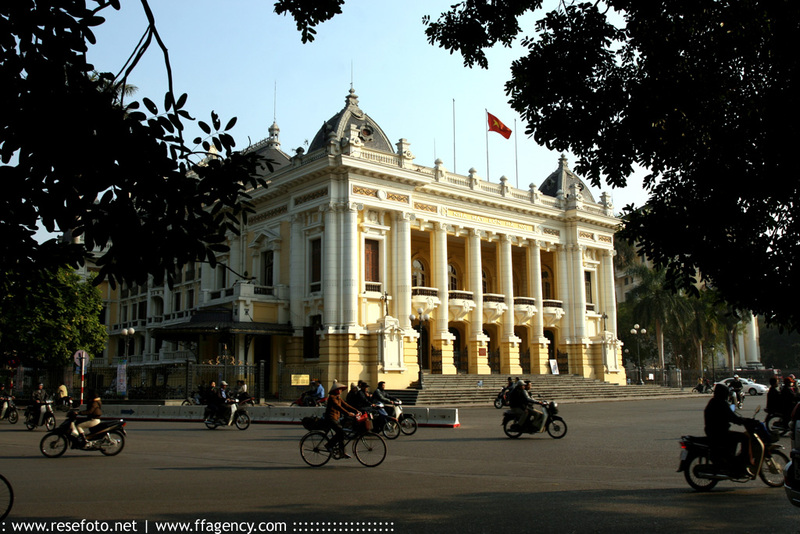 It was modeled on the Palais Garnier, the older of Paris's two opera houses, and is considered to be one of the architectural landmarks of Hanoi.